And what a week it’s been. Between trying to plan ahead (summer), finding a place for a new stash of wood, and other overdue projects, I’ve reverted back to working off a to do list and tighter time schedules to try and stay on track. Wish me luck! Angie had an empty space on her wall. And since she claims not to ‘do empty spaces’, she created something unique and beautiful anyone else can do. And change out all summer long. 3D flower art… genius! 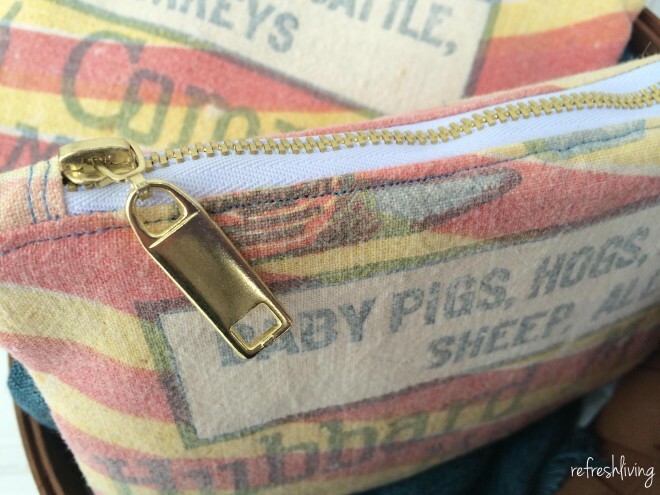 Jenny pushed herself out of her comfort zone, and ended up with these adorable grain sack pouches. Girl… my address is… and I’ll take one in a small purse size too! Seriously adorable! Oh Brian… you never cease to amaze me. No matter what you find, you make it useful, and just super cool. My son would be in HEAVEN over this one with his love for coke! I love that key holder… I need one that big so I can find my car keys! Hey Donna – love your ‘cart’ loaded with fence boards. Thanks for PJ 270. Love joining in. 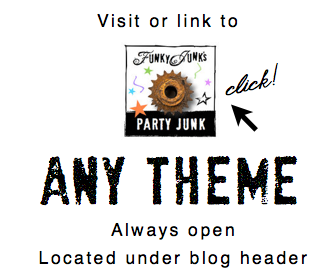 Thanks so much for hosting Donna – Happy weekend ! Thanks Donna for PJ 270 Upcycled – I took a pickup truck load of cedar slabs and made most of a long fence. More slabs needed. Have a great week. Great features as always, Donna! 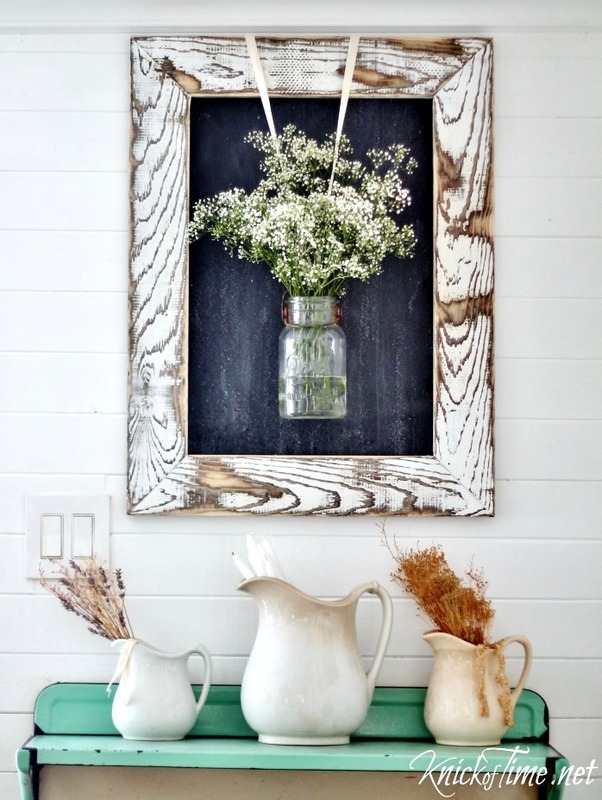 I love the chalkboard frame, such a pretty vignette. Thanks for hosting us! Hi Donna … so happy to be able to link up to your party. Thanks for hosting. Love your cart for the weathered wood. Have a great week-end. Thank you for hosting and for inspiring us! 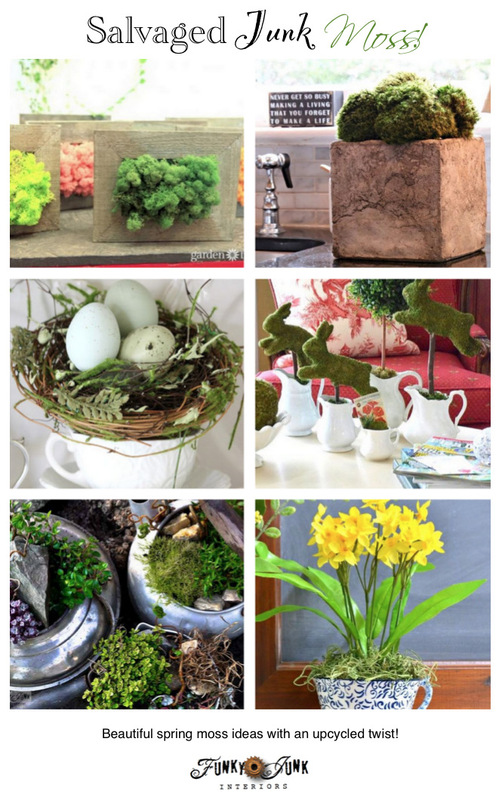 Spring – when a girl’s fancy turns to her junk pile for projects! Thanks for hosting! girl, you are as busy as ever! 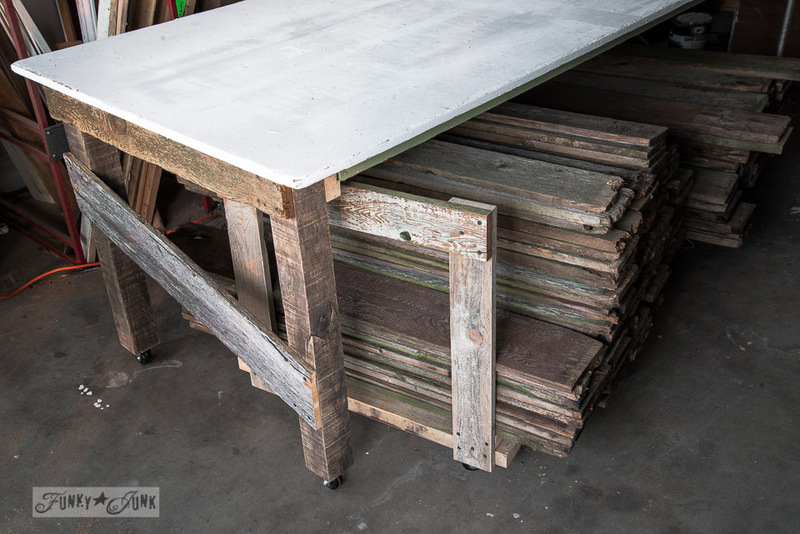 love your wood storage cart – with all that great wood…project ideas galore! Well happy day! Thanks for the feature, Donna! So HAPPY to be included in the top picks in this post. 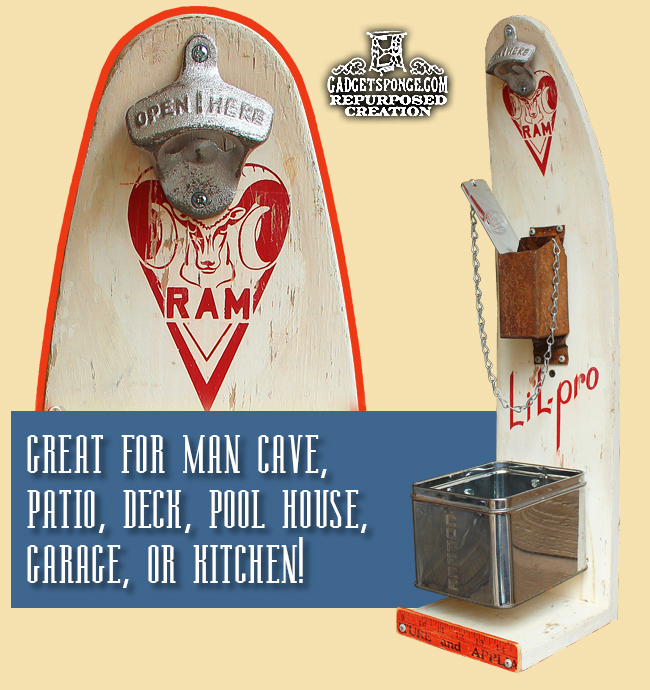 I’m definitely planning on making more repurposed water ski opener stations just as soon as I find more vintage water skis. Great chalkboard (love that wood), and the grain sack pouch – love me some sacks. Your table and cart rock! Such character and total functionality. Thanks so much for the party Donna. Love your features.